You can make this as an appetizer, chock fill of bacon, apple, and brie, or as a popover-like side dish. I intended the recipe to come out as a mini quiche, but with the addition of the flour, it became a popover. Light and airy, the bites were just the right size to “pop” in your mouth, and the brie was a nice surprise in the middle of them. These are a prefect snack for Sunday football! Peel and finely chop the apple and onion. 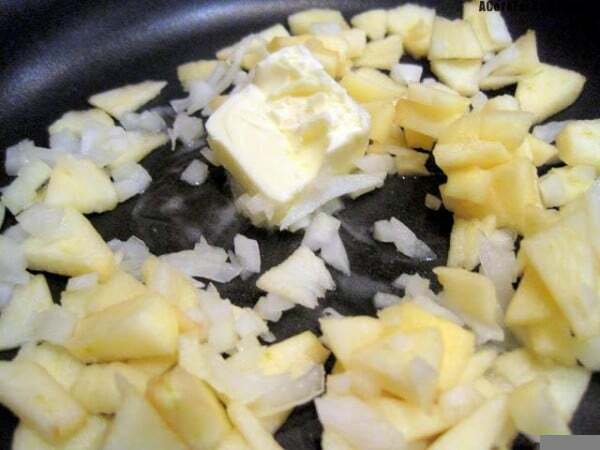 Put the butter in a small saute pan, and saute the apple and onion on medium-low until opaque (the onion), approximately 2-3 minutes, then remove from the heat. 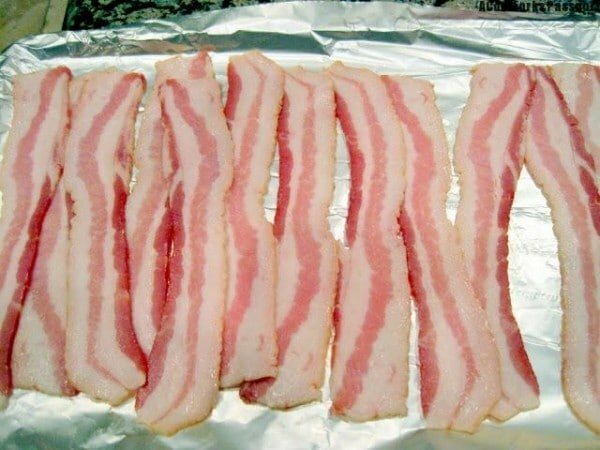 Fry the bacon in a fry pan until crisp, or you can cook your bacon like I do-on a baking sheet, in the oven at 375 for approximately 5-7 minutes, until crisp. When the bacon is cool, break into tiny pieces. Lower the oven temperature to 350 degrees. 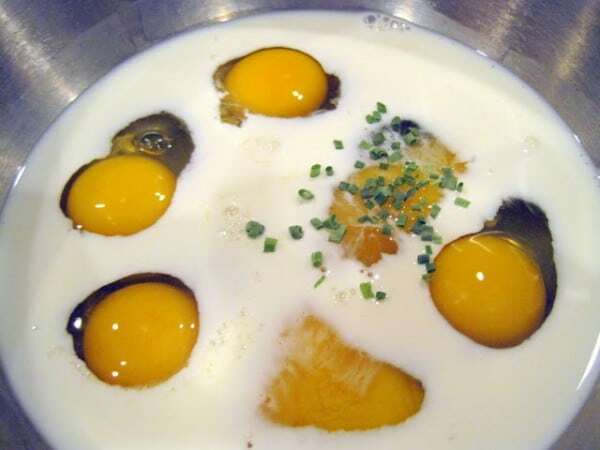 Whisk the eggs, cream, and flour together in a bowl. Add the salt, pepper, and chives to the eggs. Mix the apple/onion and bacon into the egg mixture. 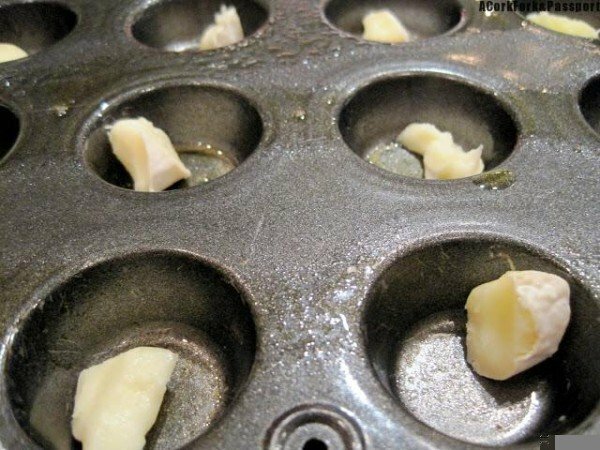 Grease a mini-muffin pan. Peel the rind off the brie and cut into small bite-size pieces. Place a piece of brie in the middle of each muffin cups. 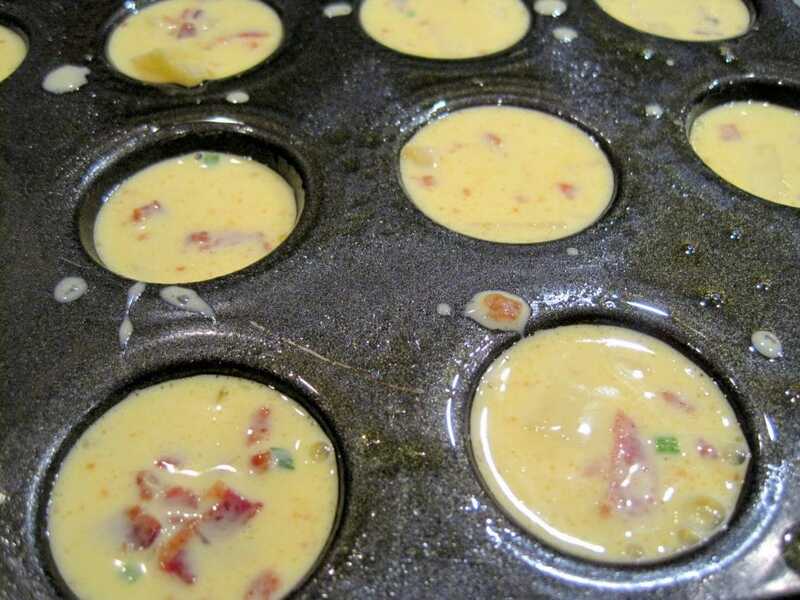 Using a ladle, spoon the egg mixture into each muffin cups, filling each spot about 2/3 of the way full. 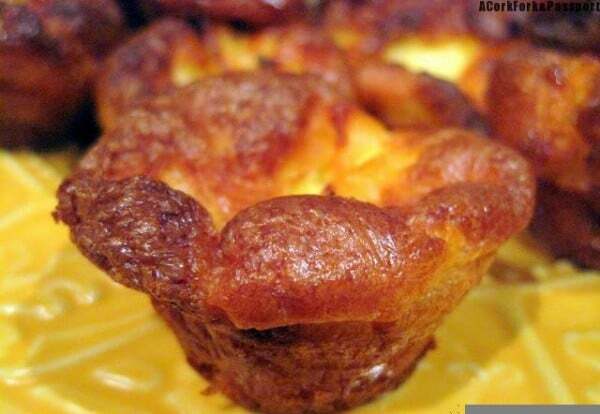 Place the muffin pan in the oven and bake 18-22 minutes, until brown. You can serve immediately, or store in a container in the refrigerator, and reheat for 5-7 minutes before serving. Note: These are addictive, so maybe make a double batch, so you actually get to have some before your family eats them all up!